watch your character for it becomes your destiny." We run monthly workshops for startup founders focused on authentic leadership, intentional culture and effective communication. They are free and come with lunch so they tend to fill up quickly - sign up below! We also host various events with outside speakers more talented than ourselves whenever the opportunity presents. A four-hour workshop focused on communication challenges most relevant to startup founders and their teams. Format is 25% concepts and 75% experiential learning and practice (and comes with lunch!). This workshop is designed to be done in pairs (co-founders or founder + senior team member for single founders). Joe Greenstein is the former CEO and Cofounder of Flixster, which was acquired by Warner Brothers in 2012. Semira Rahemtulla has worked with hundreds of startup founders and leadership teams. She is the former CEO and Cofounder of PlayTell, and Director of Product Management at Guidewire Software (GWRE). As founders, we spend a ton of time giving others feedback in a high pressure environment. Spending a few hours learning about how to do that more effectively was one of my most leveraged investments of 2014. Doing this session together as cofounders has really had a lasting impact for us. Attending the founder workshop was one of the most valuable things I did in 2014. I've used the skills I learned to do my job better every day since. My communication with my cofounder and teammates has markedly improved. This workshop was a fantastic intro course to improving communication between co-founders and generally at a startup. It gave my co-founder and I a good, structured opportunity to talk about important issues in a way that can be hard in the day-to-day of a fast-moving startup. A fully-immersive, extended-weekend experience that will center around a t-group learning format as practiced in the popular Interpersonal Dynamics program at the Stanford GSB. Many participants in this format describe the experience as one of the most profoundly valuable learning environments they have experienced. Learn more about the T-Group Weekend Intensive here >>. Michael Terrell is passionate about helping people develop authentic and effective leadership capabilities that have measurable impacts on their company cultures, business outcomes, relationships, and personal well-being. In addition to his work as an executive coach, Michael facilitates learning groups for one of the most popular courses at the Stanford Graduate School of Business, Interpersonal Dynamics. Anamaria Nino-Murcia has coached hundreds of startup founders and leaders both one-on-one and in group settings. She is among a select few who specialize exclusively in working with startups. In addition to her work as an executive coach, Anamaria also facilitates learning groups for the Interpersonal Dynamics course at the Stanford Graduate School of Business. I've learned about a whole new aspect of communication that I believe will be invaluable in my personal and professional success. It's something I want to send all my friends and colleagues to and am privileged to have been a part of. The learnings about myself were much more intense and deep than anything I could have imagined. I'm really grateful for this life changing experience. I recommend this weekend intensive to experience transformation, not just talk about it. Their are so few ways to really feel the impact and experience true learning with it comes to interpersonal skills. This InnerSpace intensive weekend have given me exactly that. Hour for hour, the most valuable personal and professional growth experience of my life. The InnerSpace Intensive Weekend will amplify your emotional capacity and leadership presence by an order of magnitude or more. Every startup founder needs to do this. The T-Group Weekend Intensive was probably the highest ROI way I could have spent 3.5 days: for the health of my company, the happiness of the amazing individuals who work here, and for my own ability to create and sustain meaningful relationships. I can't overstate how much I wish this could be a more broadly accessible experience. At the risk of it sounding cliched, I came back cleansed and more mentally prepped to tackle real problems in the real world!! I can hands down say every startup leader needs such a weekend. I believe I will achieve 10x more because of this weekend. I became aware of and learned how to overcome major interpersonal stumbling blocks that have been severely holding back my professional and personal relationships. Wow. Eye opening. I loved it. I don't often endorse stuff but, based on personal experience, here's one that I gladly will. The folks at Innerspace have found a way to replicate the experience of the Stanford [Interpersonal Dynamics] class in a Weekend Intensive. I've been through it and it changed my worldview. If you're in a leadership position at any level, you should try it too. Considering a coach? We maintain an active directory of coaches recommended by our community with profiles on the stage & role on which they focus. Fill out the brief form and we will try to match you with a couple folks we think might be a fit for you. Will Kabat-Zinn has practiced Insight Meditation in the U.S. and Burma for more than thirteen years. He has taught meditation to diverse populations, from neuroscientists at the Mind and Life Summer Research Institute to incarcerated youth in the South Bronx, Riker's Island, and Oakland. Give and receive coaching support within a small group of founders like yourself. We will screen in advance to match founders at a similar stage and ensure no competitive overlap within groups. Facilitated introduction to basic active listening and coaching skills to encourage a supportive learning environment. A small-format interactive seminar on teamwork, emotional intelligence, and the powers of appreciation and authenticity. Mike Robbins teaches leaders and organizations how to improve their workplace results and their lives using appreciation and authenticity. Clients include Google, Microsoft, The San Francisco Giants, First Round Capital & Wisdom 2.0. This highly interactive workshop will feature 3 separate exercises, each focused on how to apply design thinking to building your team and culture. Michael Dearing spent 6.5 years as an executive at eBay, became a professor at Stanford, and now is one of the most highly-respected and successful early-stage investors via his firm Harrison Metal. This small-format interactive workshop will introduce basic tenets of complexity theory including Dave Snowden’s “Cynefin” framework which can be particularly relevant for startup founders. Participants will break out into small groups to practice applying the framework to their current challenges to see how it may help them more skillfully handle decision-making, communication and leadership choices. This workshop will be limited to 30 participants. Wendy Bittner is a partner at Cultivating Leadership, where she helps senior leaders develop the skills and habits to manage within complex, ambiguous and volatile environments. Prior to working with Cultivating Leadership, Wendy was an executive coach to a number of startup founders, and, prior to that, helped redesign manager training programs for McKinsey & Co.
Small format interactive workshop combining theory and practice of negotiation drawing on a variety of research perspectives used in the Harvard Negotiation Project. Participants will spend much of their time in a series of negotiation exercises and simulations, where as negotiators and critical observers, they will become more aware of their own behavior as negotiators and learn to analyze what works, what does not work, and why. 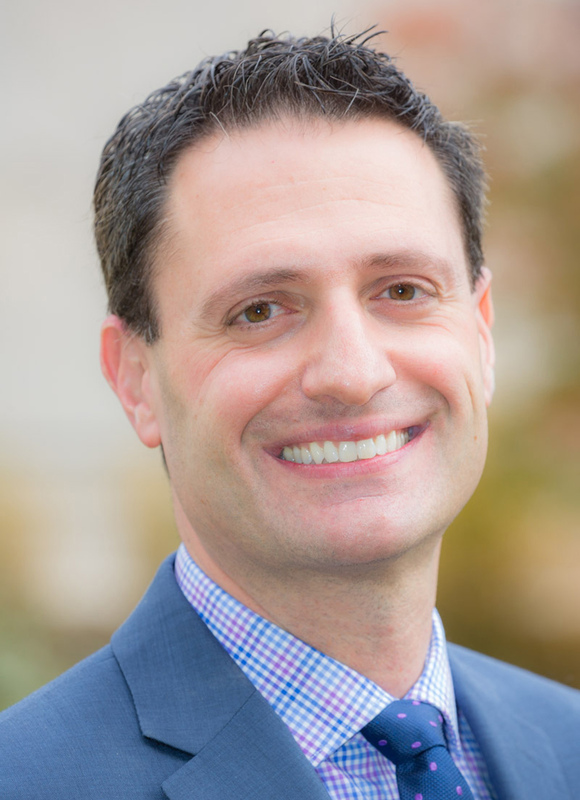 Bob Bordone is the Beal Clinical Professor of Law at Harvard Law School and the Founding Director of the Harvard Negotiation & Mediation Clinical Program. He teaches several courses at Harvard Law School including the school’s flagship Negotiation Workshop. Bob also teaches in the Harvard Negotiation Institute and the Harvard Program on Negotiation’s Senior Executive Education seminars. In 2007, Bob received The Albert Sacks-Paul Freund Teaching Award at Harvard Law School, presented annually to a member of the Harvard Law School faculty for teaching excellence, mentorship of students, and general contributions to the life of the Law School. An interactive workshop with the legendary Kim Scott, long time Google and Apple leader, coach and adviser to numerous startups including DropBox & Twitter, and author of the forthcoming book of the same name. The first 40 attendees will get a free copy of the new book! Kim Scott is the author of Radical Candor: Be a Kickass Boss without Losing your Humanity, to be published by St Martin’s Press in March 2017. Kim is also the co-founder of Candor, Inc., which builds tools to make it easier to follow the advice she offers in the book. Prior to founding Candor, Inc., Kim was a CEO coach at Dropbox, Qualtrics, Twitter, and several other Silicon Valley companies. She was a member of the faculty at Apple University, developing the course “Managing at Apple,” and before that led AdSense, YouTube, and Doubleclick Online Sales and Operations at Google. This interactive workshop will explore the research behind unconscious bias and evidence-based strategies founders can take to make better, more objective decisions in both the recruiting & hiring process and in ongoing team dynamics and culture. Participants will leave with specific plans on how to apply these strategies within their own organization. Joelle is founder & CEO of ParadigmIQ – a boutique consultancy that helps companies like Pinterest, Airbnb, Slack, Asana and others build high functioning diverse and inclusive teams. She has written extensively about diversity, inclusion, and unconscious bias, and her work has been featured in The Wall Street Journal, The New Yorker, Fortune and more. Prior to Paradigm Joelle was a women’s rights attorney and she holds a degree from Stanford Law. Joelle’s work comes very highly recommended from numerous members of the Innerspace founder and influencer communities! This workshop introduces the basic concepts and research behind modern theories of relationship style. You'll learn the science of attachment theory, which provides our deepest psychological understanding of how adults relate to one another. You'll identify your own style and those of your co-founders, and you'll gain an understanding of the best practices and most common failures of interacting with different relationship styles. You'll leave with a specific plan for how you can adjust your communication and behavior with their teams based on this understanding. Participants are highly encouraged but not required to come with their cofounder teammates! Cameron Yarbrough is an entrepreneur, and executive coach for startup founders. During his previous career as a psychotherapist, he was voted best therapist of the year in 2012 by both San Francisco Bay Guardian and 7X7 Magazine. He is cofounder/chairman of Well Clinic, a counseling practice that is now home to over 30 active therapists, psychologists and psychiatrists. Cameron was introduced to the world of tech as cofounder of an e-commerce business that he sold in 2005. He is currently an active and highly regarded executive coach to a number of notable startup founders. Cameron divides his time between a private practice and Stanford GSB where he works as a facilitator of a leadership communications lab. Amy Buechler is a trusted voice to (literally) thousands of startup founders in her role as Batch Director and internal coach for the founders of Y Combinator. She is also a Marriage and Family Therapist Intern with a masters degree from the Wright Institute. She is an active executive coach to startup founders and founding teams. We've all been there when communication breaks down. Frustration, irritation, even anger ensues as we ask: How can I get her to see things my way? How can I get him to focus on the real issue? Why is she being so difficult? What if the questions we asked ourselves instead were: What is she really saying? What is the central feeling? What is his implicit hope, intent, or fear? In this workshop, we'll play with these new questions and practice the kind of listening that will help your relationships flourish. Semira Rahemtulla, one of the cofounders of InnerSpace, has worked with hundreds of startup founders and leadership teams. She is the former CEO and Cofounder of PlayTell, and Director of Product Management at Guidewire Software (GWRE). The best leaders create environments where people naturally work together to do remarkable things. The first and most important ingredient is trust. In this interactive workshop, you’ll learn how to develop and support a culture of trust where people feel valued and listened to. You’ll come away with a set of skills that enable you to: shift your perspective; listen more deeply; and more effectively collaborate with everyone you work with. This workshop is designed to be done in pairs (co-founders or founder + senior team member for single founders). Kate Roeske-Zummer has over 20 years of experience in coaching and leadership development work with both corporate and nonprofit clients, including Mozilla, Pinterest, Adobe, DaVita, CBS Interactive, United Way of America, RW Baird, Leo Burnett, Ogilvy and Mather and The Colorado Education Initiative. Specializing in in deep cultural shift in organizations, Kate is passionate about bringing more humanity into the workplace by coaching leaders to become more present, emotionally intelligent and relational. Lauren Powers also has over 20 years experience in this field. She is a Master Certified Coach and a senior faculty member of the Coaches Training Institute, where she has trained professional coaches since 1999, and wrote The Trouble with Thinking, a guide to how our perceptions create our realities. She supports individuals, teams and organizations to initiate and sustain positive and significant change through executive coaching, leadership development and cultural transformation. As a founder, you already make a lot of choices about what your company does; but how about how you do it? Great company cultures aren’t born, they’re made. In this hands-on workshop, Caroline offers practical ways you can create a productive, positive work environment, based on the behavioral science she lays out in her book, How to Have A Good Day. Caroline Webb uses behavioral science (behavioral economics, psychology, and neuroscience) to help her clients discover how to be at their best – and how to bring the best out of their colleagues in turn. The author of How to Have A Good Day and the CEO of Sevenshift, Caroline is also a Senior Adviser to McKinsey. As a Partner there, she co-founded McKinsey’s leadership practice, and designed the firm’s approach to transforming senior team dynamics and improving personal effectiveness. A small-format interactive seminar with Ed Batista on topics including mindset, goal setting, reflection, self-awareness and change. Ed Batista is an executive coach and instructor at Stanford’s Graduate School of Business. This workshop covers principles from his course “Self-Coaching” as taught at Stanford and in his forthcoming book on the same topic being published by the Harvard Business Review. Research consistently shows that the best managers are great coaches. What is coaching? As a manager, when should you take a coaching approach? When is that a bad idea? In this interactive workshop will explore basic concepts of coaching and all participants will have a chance to practice coaching, being coached and observing different styles of coaching. Our flagship half-day experiential workshop on communication topics including disclosure and vulnerability, giving and receiving feedback effectively and buiding intentional culture. 500+ founders have now participated in this program – this will be our first time offering it for investors! We all have a zone of genius. It’s that unique thing you do better than most and when you do it, time and space can disappear and you feel energized in the creative process. But often it can be difficult to self-identify your own innate gifts. In this event, you will learn more about your gifts through the reflection of of a peer group. You will also learn what can keep you from leading in this zone and how to look for the zone of genius in those you hire. Diana Chapman is a founding partner at the Conscious Leadership Group and regularly one of our most popular teachers. Diana Chapman is cofounder of the Conscious Leadership Group, author of The 15 Commitments of Conscious Leadership and works regularly with leaders of organizations from startups to the Fortune 500. An interactive seminar on the art and science of making compelling presentations. We'll examine three core areas of verbal communication (content, delivery and state), and how they come together to create messages of impact and influence. An interactive workshop introducing basic principles of conscious leadership. The life of a startup founder is largely making decisions and taking action to bring about a desired result. How can we look more deeply at the genesis of actions and the results they may bring? How can we make the wiser decisions amidst the emotional turmoil of running a startup and the incessant distractions of modern life? Put simply, can we train our minds to be more effective? You will learn a powerful tool that helps you see your actions more clearly and create the possibility to create new choices. Expect a fun, lively, and engaging experience. Jeremy Hunter serves as Assistant Professor of Practice at the Peter F. Drucker Graduate School of Management at Claremont Graduate University. He has more than a decade’s experience helping leaders to relentlessly develop themselves while retaining their humanity in the face of monumental change and challenge. Recent research has demonstrated wide benefits of mindfulness meditation in areas ranging from stress reduction, improved focus, and creativity to reductions in heart disease and higher immune system response. In this experiential workshop we will explore basic techniques of mindfulness and discuss the challenges and benefits of practice for startup founders and their teams. Anushka Fernandopulle has trained for over 20 years in Theravada tradition in the US, India and Sri Lanka and serves on the Spirit Rock teachers council. Anushka also works as a leadership coach and management consultant holding undergraduate degrees from Harvard University and an MBA from the Yale School of Management. A small-format, interactive seminar on how to unlock your personal charisma. Olivia Fox-Cabane helps people become more persuasive, influential, and inspiring through her work as a keynote speaker and executive coach to the leadership of Fortune 500 companies. She applies the latest in global behavioral science to everyday leadership needs to improve her clients’ productivity, effectiveness and efficiency, and offers those insights to everyone in her first book, The Charisma Myth.